Historically, single-use parcel shippers have utilised water based coolants to help regulate temperature during transit. Tempcell® MAX parcel shippers, on the other hand, go one step further. Using innovative recyclable PCM coolants, cost-effective temperature in extreme conditions can be achieved. All Softbox MAX products are part of a new company initiative to employ breakthrough materials that provide innovative and advanced features to our product lines, with one goal: they must work in tandem with the evolving requirements of the Life Sciences industry, and have a visible end benefit. 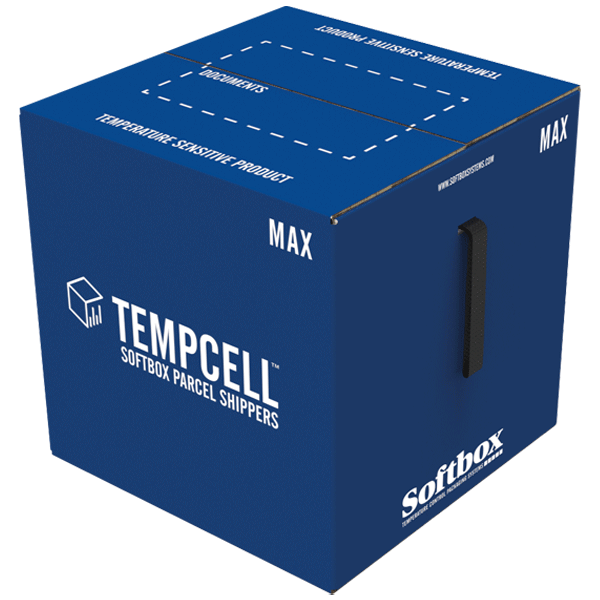 In the case of our parcel shippers, Tempcell® MAX picks up where its Tempcell® brother left off. Although it is configured with a polystyrene exterior, it is an upgraded version of the water-based Tempcell® shipper with two key new features. It incorporates innovative recyclable PCM coolants to ensure no risk of temperature excursion and; and an innovative internal radiant barrier film to enhance thermal protection. This high reflectivity and low emissivity surface inhibits heat transfer by thermal radiation. 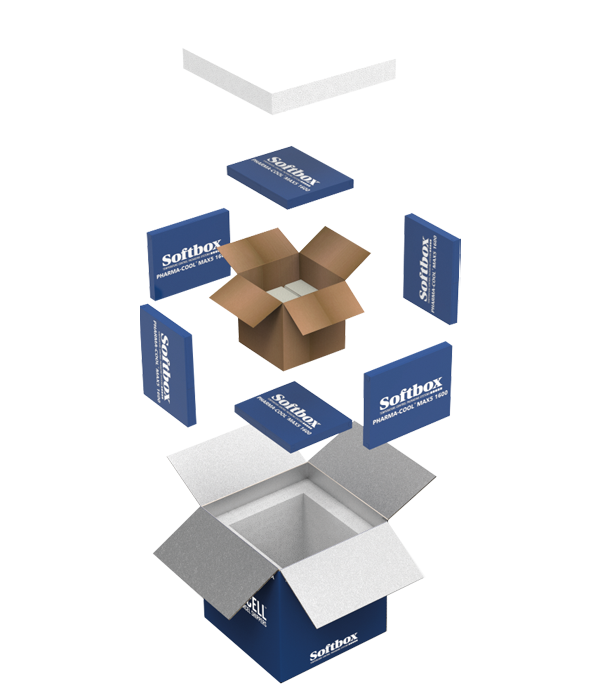 Tempcell® MAX parcel shipper performance is further aided by the utilisation of advanced phase change material (PCM) packs. In contrast to water-based coolants, they can endure a longer operating bracket of between 48 and 96 hours. Bringing together the correct combination of thermal packaging and PCMs creates a high-performance and temperature-stable environment. These next-generation PCM coolants are also environmentally friendly and capable of true end-of-life recyclability; components often find new life as all manner of household items. As such, many pharmaceutical companies with committed sustainability initiatives welcome greener alternatives. The materials are also a contributing factor towards weight. Being lighter than previous shippers, the Tempcell® MAX parcel shipper allows for more cost-effective transportation. This breakthrough system has been developed to cover three commonly used sizes in the Life Sciences market, with three different payloads of 4, 11 and 22 litres. Naturally, that gives you varying tare weights: 7, 10 and 13 kg. All operate effectively in the ambient and chilled temperature zones.